Prime Minister Benjamin Netanyahu on Wednesday ordered coalition whip David Amsalem to shelve a bill that would prohibit recordings of public servants, saying that while it could help him, he “doesn’t need” it. Netanyahu was the one who proposed the legislation along with Jewish Home MK Bezalel Smotrich in January, following the publication of a leaked recording in which his son Yair was heard making disparaging comments about women during a night of excess in a series of Tel Aviv strip clubs. The explosive recordings of the younger Netanyahu, published by Hadashot TV news, also featured him trying to parlay, apparently in jest, a gas deal worth billions of dollars to get cash for strippers from a gas tycoon’s son. The Knesset goes on a hiatus in three weeks until late September, meaning that recently proposed bills are not likely to be advanced before winter. 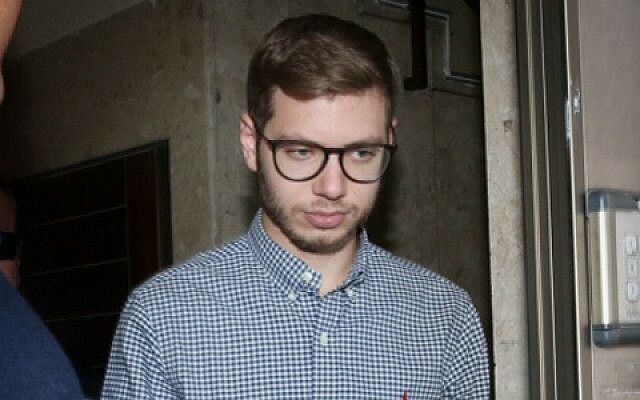 The airing of the Yair Netanyahu tapes sent shock waves through Israel’s political system, with opposition members saying they suggest corruption on the part of the prime minister, and Netanyahu’s office deriding their publication as part of a witch hunt. During a cabinet discussion on in January, Netanyahu told Justice Minister Ayelet Shaked that law enforcement bodies should examine the legality of the leaking, Hebrew media reported. Earlier, Regev told the ministers that an investigation should be opened into the leaking. “We can’t be hostages. We are being threatened, and they are even trying to profit from selling it to the media. We can’t become punching bags to be attacked at any given moment,” she said. In December 2016, Netanyahu floated the idea of legislation that would require two-party consent to all recordings of phone calls and conversations. Current law requires that at least one party to a conversation be aware of, and give permission for, a recording. Any recording without knowledge of any of the parties is considered illegal wiretapping under Israeli law and is punishable by a maximum of five years in jail.